Award-winning fiction author, blogger of the random and ridiculous, elephant obsessor, consumer of spicy food and margaritas, teller of filthy jokes. Lives in Texas with her husband and two adventurous sons. Aspires to live in a treehouse with a cat. Or ten. It’s consuming in a way. No, in all ways. Like a love affair. Or a roller coaster. Or a horror movie. It overshadows everything else in your world. It IS your world, Right Now In This Moment, permeating into every pore, every cell. This thing called creation. This growth of a story. This incubation period. Gestation. Evolution. When you step away for a break or because other commitments make it necessary, it’s almost scary to return. You dip your toes in the water and think, am I ready for this? Am I ready to give myself over? To lose myself? To have this otherness responsible for whether I float or drown? To become dependent on it? To have it swallow me whole? To submerge? Am I ready to immerse? I will have to put everything else on the back burner, as they say. Bottom of the totem pole. Lowest priority. Things I’ve enjoyed being wholly present for while not consumed with Story. Things I love. Things I don’t necessarily want to have fade into the background. But it’s the price, isn’t it? The creative muse is selfish that way. “All or nothing,” it tells me. “I want you all for myself,” it purrs. “You leave me,” my husband once said of my affairs with Story. Not literally, of course. I’m here. But I’m not. My body is here, but my mind is in bed with Story. IN. As if I’m in another dimension. Inside. Part of. Not merely treading water, or my senses would still be open to receive. Vulnerable to distraction. No. I’m under the water. Submerged. Baptized. Sound and light muted. Buffered. Protected. Shrouded from anything other than Story. “I’m coming,” I assure them, kicking the water with my toes, leaning ever so slightly over the edge of the dock, but even as the words come out of my mouth, butterflies swirl in my stomach. The thought of giving myself over so completely is both tantalizing and earth-shaking. Tempting and timorous. Irresistible and…..
To be incapable of resisting. How totally and tragically accurate. With a quick glance back at my life, at my family, at my friends, at my house, at my pets…my eyes say it all: Forgive me. I’m sorry. Be patient with me. And then I slide into the water. Down. Further. Into the waiting arms of Story. INSANELY HUGE YA BOOK GIVEAWAY!One grand-prize winner will walk away with a signed, first edition hardback of Witch and Wizard which just so happens to be written by one of the biggest names in fiction – JAMES PATTERSON! On top of that, they get a $100 amazon gift-card! Audiobooks, signed paperbacks, ebooks….SO MANY PRIZES – OVER TWENTY WINNERS! We all need to get away after months of cold, dreary, monotony. But even while we’re dreaming of white sand beaches and rolling waves, our regularly schedule life must go on. But does it really? Getting away is a lot easier than you think. All it takes is a bit of spare time, an open mind, and a good book. That’s why we’re giving away tons of books! There’ll be over TWENTY winners. And one grand-prize winner will walk away with a signed, first edition hardback of Witch and Wizard which just so happens to be written by one of the biggest names in fiction – JAMES PATTERSON! On top of that, they get a $100 amazon gift-card! And all if takes is a minute or two and a few clicks of the mouse. Check out these other amazing prizes we have for you. In May, I featured a review of a multi award-winning book titled “Order of Seven” that was blowing the mismatched socks off young-adult, paranormal/fantasy readers. Since then, first-time author Beth Teliho has continued to sell copies and rack up glowing reviews of her captivating book. 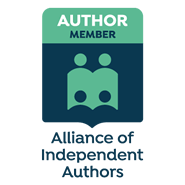 I asked Beth if she would consider writing a post for The Right Writer for You about what it takes to write, self-publish and market a successful first novel, and she was kind enough to consent. Today, I have the honor of sharing that marvelous post with you. It’s packed full of need-to-know information for first-time novelists — or for anyone anywhere who is considering becoming a self-published author. What follows is a post abundant with common sense, priceless links and sound advice — all offered up from Beth’s own first-hand experience and in her distinctive and humorous voice. Trust me, you’re going to want to bookmark this enjoyable foray into self-publishing. Ever had a struggle so big it consumed your life? You fight it, sometimes succeeding, other times succumbing? How about when you learn of others that are fighting the same fight…it helps, doesn’t it? Knowing you’re not alone takes power away from the hold the struggle has over you. It gives you a feeling of camaraderie. Solidarity. My struggle with body image and self worth is something I’ve written about before. I found the strength to let myself be vulnerable and write about it by reading other women’s stories. Those stories helped me tremendously, so I knew writing my own could help someone else, as well as be a cathartic exercise for me. Writing my story was a gift to myself, and my badass friend, Katie Cross, wants you to have that gift too. Let me introduce you to The Every Woman Story Project, which you can learn more about by clicking the highlighted title in this sentence, which is a link. The Every Woman Story project is a place to bring women—and all the things we struggle with—together. It’s a place of empowerment. Of vulnerability. Of strength. Of solid steel willpower. The purpose of the project is to collect stories from the women in the trenches and empower each other by sharing them. The stories will be there forever as a resource for women, but you also have the opportunity to contribute by writing your own story. Your story will be completely anonymous, even to the project’s creator, Katie. There is no rule. No limit to what you say or what story you tell. It can be two sentences, or two pages. Two paragraphs, or two words. When all entries have been gathered up, Katie will compile them into an ebook and offer them for free on her website, Health and Happiness Society. There will be no charge for the book. No fee. No monetary gain. No content editing. The stories will be presented as they are given. Enter the Every Woman Story Project today. Do you see me? I see you. Walking, early on a weekday. This is your time to exercise. It’s my time too. It would be impossible not to see me directly across the street from you, bright pink visor on my head, walking my dog. I dart my eyes your way, ready to receive or instigate a greeting should you look my way. But you don’t. No wave. No smile. No hello. No good morning, even though you know my name and I know yours. Yet you can’t even be bothered to acknowledge my existence. This makes me feel small. So without further ado, it’s time to start this interview, so here we go and a very pleasant evening to you all. Hi there Beth, a real pleasure to be chatting with you today. Hold My Tiara. I Have to Pee Again. My hair is an oily, tangled mess. I’ve been in the same pajamas for three days. Okay, four. A soft, wooly layer of hair covers my legs, and that one, stubborn chin whisker gleams in the sunlight. Wrappers from food I don’t recall eating litters the floor at my feet. I wince every time my 8yo’s basketball hits the wall, and for the hundredth time, I ask the boys to be quiet, please, mommy is writing. The hubs is not here today – he’s off competing in an endurance race. I thought this might be a timely post with the recent end of Nanowrimo and all its stress-induced writer’s doubt. I know quite a few talented writers who aspire to publish (you know who you are!) but they haven’t started yet because it’s scary as hell. Fear of not being perfect freezes them. They choke at their keyboards, unable to let the ideas sprinkle through their fingertips. I know exactly what the voices in their heads are saying: What if I fail?